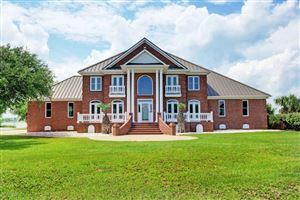 Ashe Island Farm is a luxury residential neighborhood in North Topsail Beach. It's named for former North Carolina governor John Baptista Ashe, who was born in Rocky Point. This is an exclusive gated home community with only 25 oceanfront parcels, each 10 acres large. The minimum home size is 3,300 square feet and each property is allowed only one detached guest home. The homes are gorgeous with multiple balconies, porches, decks, and other outdoor living spaces to maximize the enjoyment of the water views. Some of the homes have private docks. This is the utmost community for someone wanting seclusion and luxury living with water access. Click on the listings below to see pictures, features, amenities, school information, and more. Interested in viewing a home or have questions? Please don't hesitate to contact us. We can help you with this community or any other in the Greater Wilmington real estate market.